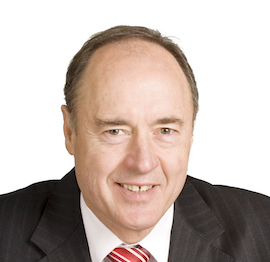 Ian Harrison joined Australian Made Campaign Ltd (AMCL) as its Chief Executive in June 2004. Prior to this, Ian’s career involved time in the private sector in his own business and senior executive positions with employer organisations at state and national levels, with a principal focus on policy and economics. During Ian’s time with AMCL, the office was relocated from Canberra to Melbourne and the Australian Made, Australian Grown logo repositioned clearly as Australia’s global product symbol - giving country of origin information to consumers, wherever they may be, and providing businesses with a powerful marketing tool to highlight in markets everywhere that their product/produce is Australian. Ian holds a degree in economics, played sport at a senior level and is married with 3 children.